The Solar Electric Light Fund (SELF) brought solar electricity to the village of Pulimarang in collaboration with the Centre for Renewable Energy (CRE) in Kathmandu, a non-profit organization working to promote decentralized energy options for Nepalese rural electrification. With support from the Moriah Fund, solar home systems (SHS) were installed in sixty-five homes and a community center in Nepal’s first solar powered village. Although the mountains of Nepal are endowed with great hydroelectric potential, many of the villages at lower elevations do not have local hydro resources available to them. While electricity is available in the larger towns and villages near Kathmandu, the more distant villages do not have access to the utility grid, as line extensions through the high, rugged mountains are prohibitively expensive. Currently, only 11% of Nepal’s 20 million people have access to electricity. The vast remainder depends on kerosene and dry-cell batteries for illumination after dark, and has no access to television or radio for news and entertainment. Each of the solar home systems in Pulimarang consisted of a Siemens Pro Charger 35-watt panel, a 70 amp-hour battery, and a charge controller. 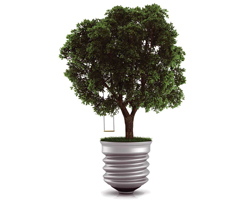 The systems power three 9-watt fluorescent lights, as well as a television or a radio. They were supplied by the Solar Electricity Company, a Kathmandu-based solar PV distributor. The SHS were installed by technicians from CRE, working in conjunction with Solar Electricity Co. 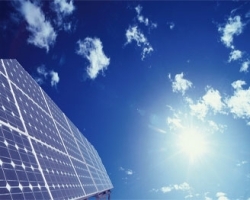 Initial financing for forty-seven $425 solar electric systems was provided by SELF. Villagers could pay for the systems with cash, or pay 20% down, and finance the rest over a one to three year period. Monthly loan payments on the systems are roughly equivalent to what Pulimarang families are currently paying for lighting in the form of kerosene and dry-cell batteries. Discounts were provided to families purchasing the systems upfront with cash. As the locally managed revolving fund has been replenished, eighteen additional systems have been financed by the solar committee. Families with solar home systems are now able to read and study after dark, or extend the productive workday long after the sunsets. Villagers with electric lighting no longer complain of kerosene smells or irritated eyes due to smoke. For those families unable to purchase systems, a community center was electrified with fluorescent lights and a television. The Women’s Solar Committee has initiated a weaving program “under the solar lights” producing handcrafted woven goods for sale at the markets in the district town. On May 14, 1994, Nepal’s Prime Minister traveled to Pulimarang for an inauguration ceremony of the project. He was met with an enthusiastic reception by cheering crowds, and promised future support for solar rural electrification, the only hope of providing household power to the majority of Nepal’s rural population. A video about the project entitled “Pulimarang: Towards Brightness” was produced by SELF, Siemens, and Nepal Television in 1994 and aired throughout Nepal. Based on the success of the Pulimarang pilot project, the Nepalese Government began a program to subsidize solar home systems throughout the country. According to SELF’s local project partners, “A sacred fire ignited by you is spreading!” With the cancellation of Arun 3, the World Bank-sponsored hydroelectric project in Nepal, the Bank has pledged to develop “alternative approaches to meeting Nepal’s energy needs.” With Pulimarang as a model, perhaps other villages will move “toward brightness” and develop solar electrification programs as well. This entry was posted in Uncategorized on June 28, 2010 by Nepalren. Wind is still one of the unharnessed energy sources in Nepal. Its countrywide potential has not been assessed yet. Some studies have indicated that wind potential for power generation is favorable in Tansen of Palpa, Lomangthang of Mustang and Khumbu regions of Nepal. However, wind monitoring and mapping data are not available for many places. 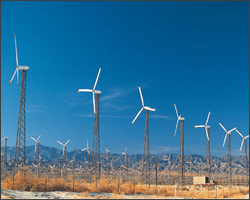 A few studies that have been conducted so far have been indicated some potential for wind energy in Nepal. Nevertheless, due to difference in topography and consequent variation in meteorological conditions it is difficult to generalize the wind condition in Nepal. However, specific areas have been identified as favorable for viable wind generation. Nepal is set to finalize a draft national wind policy in the coming months, to harness wind energy’s potential as a solution to its current energy crisis. The policy, prepared by Nepal’s national wind task force (NWTF), will be finalized in the next three months, said NWTF member Manoj Kumar Mishra at a national workshop on wind energy this week (31 January). It aims to attract foreign investment for producing commercial wind turbines, protect the interests of local manufacturers for small wind turbines up to ten kilowatts, and construct a model wind farm project — a wind farm that produces more than 500 kilowatts of energy and can be used as a pilot research project for further investment in wind energy. Nepal, whose capital Kathmandu experiences daily power cuts for an average of 11 hours, has a wind generation capacity of 3,000 megawatts, preliminary studies by the Alternative Energy Promotion Center (APEC) show. Mishra said he expects wind energy to emerge as a cheaper renewable option for small households because Nepal can build wind turbines with local raw materials — unlike solar panels, which need to be imported. Wind is more readily available in Nepal — for 18 hours a day — than the sun, which shines for an average of only seven hours. This means it can be tapped during winters when there is little sunshine after midday. Wind generation capacity is particularly high in the river corridors and mountain valleys that dot the country. But current public and private investments remain below 40 kilowatts, with no individual turbine larger than ten kilowatts in capacity. The country must initiate a systematic large-scale mapping of its wind resources, said Tri Ratna Bajracharya, director of the Center for Energy Studies at Tribhuvan University, Kathmandu. Other unaddressed issues include tax regulation, land ownership, license distribution, government funds and subsidies for wind energy, and wind electricity tariff rates, said Mangal Das Maharjan, national project director at APEC. Meanwhile, some non-government organizations (NGOs) and local firms have undertaken small-scale initiatives. For example, Practical Action has built 18 small wind power plants of 100 watt and 200 watt capacity across the country. And in 2009, students at the Kathmandu Engineering College installed off-grid wind power systems — a wind turbine at their university premises and a 1.5 kilowatt turbine for a private resort in the Kathmandu valley. This entry was posted in Uncategorized on June 25, 2010 by Nepalren. We live between two great sources of energy, the hot rocks beneath the surface of the earth and the sun in the sky. Our ancestors knew the value of geothermal energy; they bathed and coke in hot springs. Today we have recognized that this resource has potential for much broader application. The core of the earth is very hot and it is possible to make use of this geothermal energy (in Greek it means heat from the earth). These are areas where there are volcanoes, hot springs, and geysers, and methane under the water in the oceans and seas. In some countries, such as in the USA water is pumped from underground hot water deposits and used to heat people’s houses. 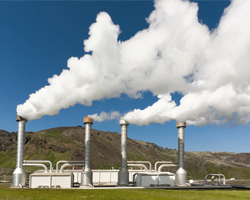 The utilization of geothermal energy for the production of electricity dates back to the early part of the twentieth century. For 50 years the generation of electricity from geothermal energy was confined to Italy and interest in this technology was slow to spread elsewhere. In 1943 the use of geothermal hot water was pioneered in Iceland. In India, Northwestern Himalayas and the western coast are considered geothermal areas. The Geological Survey of India has already identified more than 350 hot spring sites, which can be explored as areas to tap geothermal energy. Satellites like the IRS-1 have played an important role, through infrared photographs of the ground, in locating geothermal areas. The Puga valley in the Ladakh region has the most promising geothermal field. An experimental 1-kW generator is already in operation in this area. It is being used mainly for poultry farming, mushroom cultivation, and pashmina-wool processing, all of which need higher temperature. Rural communities in Nepal are now harvesting cow dung to process into biogas, thanks to an innovative program being implemented in 66 of the country’s 75 districts. The Biogas Support Program (BSP), founded in 1992, supports the construction of household-scale “digesters” that use bacteria to break down the dung in airless conditions, producing a clean, smokeless gas. A striking contrast to development projects stalled by the 10-year Maoist insurgency, the BSP has lit 140,000 Nepalese kitchens to date, saving an estimated 400,000 tons of firewood and 800,000 liters of kerosene. It has also helped reduce the respiratory problems associated with burning fuel wood. Perhaps the most valuable savings come from the estimated 600,000 tons of avoided greenhouse gas (GHG) emissions. Through the Clean Development Mechanism of the Kyoto Protocol, the World Bank has agreed to buy the $5 million in GHG emissions saved by the BSP. Other financial institutions in Germany and the Netherlands are eyeing carbon credits from the BSP and could provide important income for rural villages as the European Union’s new emissions trading system makes carbon an attractive investment. And local communities in Nepal have also benefited from the jobs created to support the biogas facilities. Nearly 60 private companies have hired approximately 11,000 Nepalese for digester construction. Nepal joins many nations in efforts to reduce carbon emissions and increase energy independence through adoption of alternative bio fuels. A U.S. company, Changing World Technologies, makes bio crude using digesters that process turkey carcasses; in Ireland, cow dung is being used to run vehicles; and in Sweden, biomass is fueling an experimental train. In India, villagers process local pangamia seeds into biodiesel to fuel rural electricity grids and, like the Nepalese, sell carbon credits through the Kyoto Protocol’s Clean Development Mechanism. Burning biomass is considered carbon-neutral, unlike the fossil fuels these sources replace. A recent study by the European Biomass Industry Association and the WWF estimated that industrialized countries could increase biomass from 1 percent to 15 percent of energy needs by 2020. As energy demand continues to grow and GHG emissions become less desirable, renewable fuels, like biogas, will likely play larger roles in the provision of energy everywhere from rural communities to large urban centers. Nepal has a huge hydropower potential. In fact, the perennial nature of Nepali rivers and the steep gradient of the country’s topography provide ideal conditions for the development of some of the world’s largest hydroelectric projects in Nepal. Current estimates are that Nepal has approximately 40,000 MW of economically feasible hydropower potential. However, the present situation is that Nepal has developed only approximately 600 MW of hydropower. Therefore, bulk of the economically feasible generation has not been realized yet. Besides, the multipurpose, secondary and tertiary benefits have not been realized from the development of its rivers. Although bestowed with tremendous hydropower resources, only about 40% of Nepal’s population has access to electricity. Most of the power plants in Nepal are run-of-river type with energy available in excess of the in-country demand during the monsoon season and deficit during the dry season. Nepal’s electricity generation is dominated by hydropower, though in the entire scenario of energy use of the country, the electricity is a tiny fraction, only 1% energy need is fulfilled by electricity. The bulk of the energy need is dominated by fuel wood (68%), agricultural waste (15%), animal dung (8%) and imported fossil fuel (8%). The other fact is that only about 40% of Nepal’s population has access to electricity. With this scenario and having immense potential of hydropower development, it is important for Nepal to increase its energy dependency on electricity with hydropower development. This contributes to deforestation, soil erosion and depletion, and increased flooding downstream in the Ganges plain. Shortage of wood also pushes farmers to burn animal dung, which is needed for agriculture. Not only this, the development of hydropower will help to achieve the millennium development goals with protecting environment, increasing literacy, improving health of children and women with better energy. Growing environmental degradation adds a sense of urgency. The system loss is one of the major issues to be addressed to improve the power system which accounts to be 25 % including technical and non-technical losses like pilferage. Until 1990, hydropower development was under the domain of government utility, Nepal Electricity Authority (NEA) only. 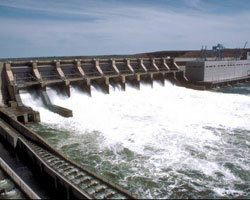 However, with the enactment of new Hydropower Development Policy 1992, the sector was opened to the private sector also. There are number of projects already built by the private developers. Private power producers contribute 148 MW of power to the ‘Integrated Nepal Power System’.